Get Contractors For Concrete Repair In Grapevine, Or Colleyville Driveway Repair Issues And Cracks. For concrete repair in Grapevine or Colleyville, TX or driveway repair, contact us. Get contractors that fix fractures and pour all kinds of concrete surfaces. We have extensive experience dealing with concrete problems. Whether you need concrete repair in Grapevine, or require driveway repair service in Colleyville, TX, we’re the local concrete contractors that can be of assistance. Why Concrete Repair in Grapevine And Colleyville, TX? Here’s why: Having your concrete fixed stops cracks in all types of concrete surfaces. It saves on costly repairs down the line. After all, having your concrete surfaces restored also minimizes safety risk. That’s why you should have your concrete areas, including sidewalks and walkways, fixed when you see problems. As experts contractors in Grapevine and Colleyville, we use different processes to pour and repair cracked driveways, patios, retaining walls and parking lots. We also restore curbs, decks and a tremendous range of other concrete surfaces that have splintered or deteriorated for one reason or another. If you have concrete repair issues, we can help. 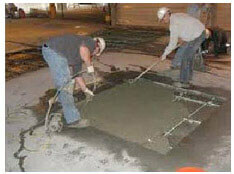 We’re experienced contractors serving the Grapevine area and we do effective concrete repair work. What’s more, we service Colleyville customers that are known for repairing concrete retaining walls, stairways, patios and decks of all sizes and shapes. If you want to know about concrete cracks and repairs, we’re the company to call for a free evaluation on your property. Why Concrete Contractors For Concrete Repair On Crack Issues? The best reason is this: Contractors have the tools need to end crack problems and to do the job right. Because property owners need a concrete contractor that’s capable of fixing concrete correctly, you’ll want to hire an expert. If you need assistance, call us. Since many concrete surfaces are large, there are many places where they can split and crumble. That’s why repairs are often needed. Using special equipment, commercial and residential concrete contractors in Grapevine and Colleyville stop the causes of driveway repair problems and cracking. We know how to protect your valuable property. 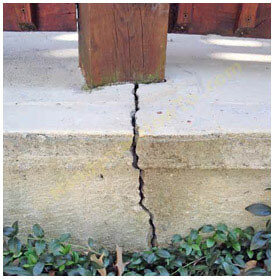 Due to volatile weather and soil movement in the DFW area, fractures occur all the time. Water always contributes to these types of problems. Fact is, when concrete breaks, moisture invades the concrete and makes it weak. That’s why concrete surfaces frequently sink, slope or develop other problems. When it comes to choosing a professional, remember HD. We’re BBB-A+ rated contractors that repair damaged concrete areas in Grapevine and Colleyville correctly. In fact, we’re concrete contractors that are known for expert work. To find out more, just call us. We’ll be happy to answer your questions. Due to crack issues, Colleyville and Grapevine residents need driveways and parking lots fixed a lot. Fact is, sometimes a surface is so damaged that it needs immediate attention. If you see gaps in your driveway, contact us right away. Fractures can become so large that it could be so costly to repair a driveway made that it might be best to simply pour a new one. As contractors with lots of experience, we will thoroughly inspect your surface and let you know what your options are. We’ll provide you with prices and make recommendations. Inclement weather conditions in the area require property owners to have Grapevine driveway repair and Colleyville service. Parking lots need to be fixed as much as parking lots do. Whether your residence, apartment or commercial property needs service, you can count on us. When seeking a qualified contractor choose us because we can fix your concrete surface efficiently. What’s more, we charge fair prices. At HD, we can create a brand new surface by simply pouring one. This entails demolishing your existing surface, preparing the sub grade and doing lots of other things. We use a good concrete mix and steel rebar to make sure the surface is especially strong. Of course, concrete also has to be allowed to cure correctly. If you want us to pour a new concrete sidewalks, deck or retaining wall in Colleyvile or Grapevine, remember that we’re experienced concrete contractors that can. In fact, we create all kinds of concrete surfaces and make them look fresh and new. We can enhance your property, help preserve your property value and also minimize safety risks associated with cracks and other forms of concrete damage. No matter what surface you need fixed, we can be of help. If you need service in Grapevine, get free estimates for concrete repair or driveway repair online today. In Colleyville, we fix cracks and offer the same services. HD performs thorough evaluations and has five DFW area locations. So why delay? To protect your property, contact us for assistance.